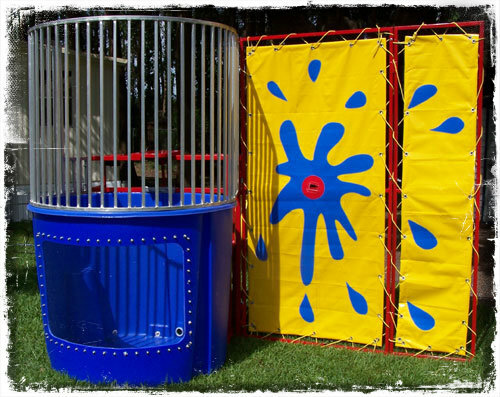 Company Picnic Season is just around the corner! Here at Faulkner's we are experts on throwing the perfect company picnic. 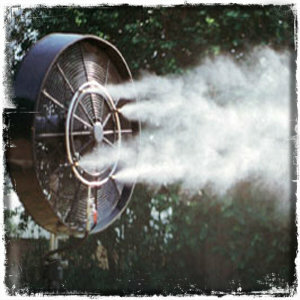 How to Beat the Heat at Your Company Picnic! 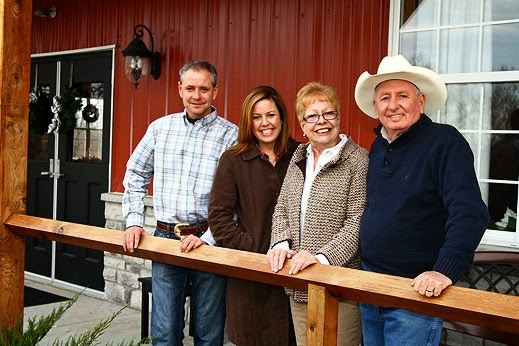 It’s no secret that it can get pretty darn hot in Missouri during the summer months. Help your guest stay cool by making use of the following tips. If at all possible, try to avoid planning your picnic when the sun is at it’s highest point. 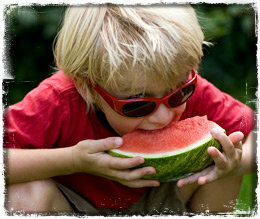 Late morning/early afternoon (10am-1pm) or early evening (5-8pm, 6-9pm) are the best times to schedule a picnic. The more shade the better! Tents are great for eating under and relaxing in between activities. 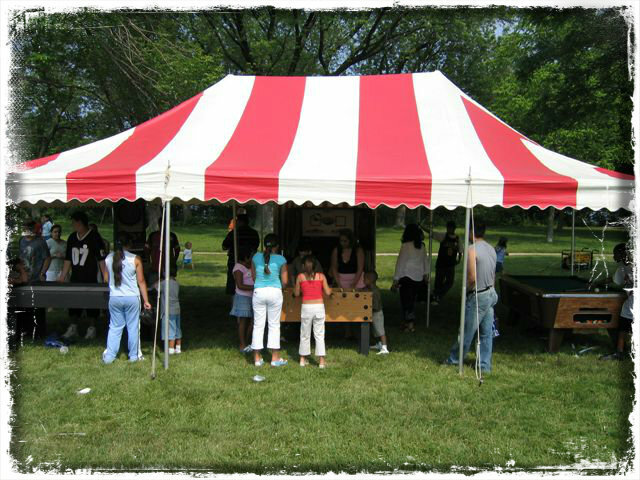 Be sure to ask your venue if they have tents available to rent. 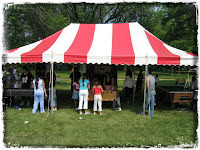 Most venues will at least have a tent company that they use on a regular basis. 3. Bring Out the Mist Machines! It is no lie that kids and adults flock towards these! Not only do they provide a quick cool-down, bu they're fun too! Have paddle fans made with your company logo! These not only help make a breeze, but they serve as a nice little party favor too. Nothing cools you off faster and is more fun than getting splashed into some refreshing water. 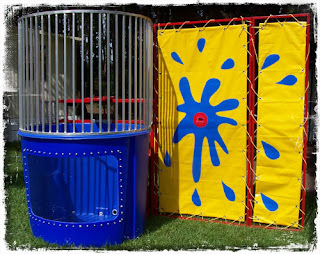 Plus, employees love this fun game, especially when they get to dunk their boss! 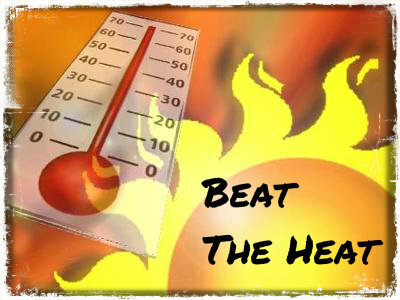 We hope that these tips help you beat the heat at your company picnic and have a super cool time! 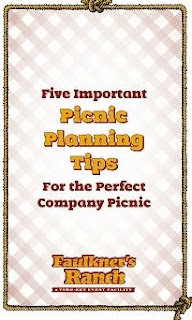 5 Important Picnic Planning Tips for the Perfect Company Picnic! There you will receive tips on determining your group size, activity, and budget! Stay tuned for more advice on how to throw the perfect company picnic!